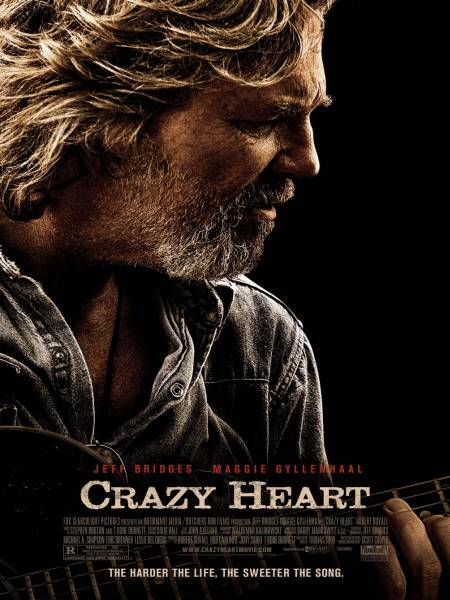 Veteran country singer/songwriter ‘Bad’ Blake (Jeff Bridges) battles bills and booze on endless tours of dead-end towns. He’s interviewed by journalist Jean Craddock (Maggie Gyllenhaal) and sees some hope for himself and the future in her and her son Buddy. Jeff Bridges gives an amazing, heart-breaking performance as the whisky-wracked Bad; a man for whom drunk driving isn’t so much a crime as a lifestyle choice. Selfish, charismatic, charming but utterly destructive, he’s both lovable and infuriating. Maggie Gyllenhaal is wonderful, too – her relationship with Bad would stretch credulity but for the fact she plays the role so warmly and believably. The film also has great music, written largely by T Bone Burnett (O Brother, Where Art Thou?) and the late Stephen Bruton. Colin Farrell plays Bad’s (more successful) protégé, and both he and Jeff Bridges sing surprisingly well.